I have been blogging about 21st Century Library since January 2010. Some say that’s a long time for a blog. It doesn’t seem like it’s been 4&1/2 years, but I do feel as though I have run my course and written virtually everything that I have to write about the “21st Century Library” and 21st Century Librarians. It is a topic that will never be fully explored, reviewed or discussed, because as much as we engage in the topic it will evolve, even while we converse, into whatever we envision it to be, which creates a new conversation about the new role of librarianship. While in Shaw’s day, perhaps, most men were reasonable, we are now entering an Age of Unreason, when the future, in so many areas, is there to be shaped, by us and for us – a time when the only prediction that will hold true is that no predictions will hold true; a time, therefore, for bold imaginings in private life as well as public, for thinking the unlikely and doing the unreasonable. My point being that librarians need to adapt the library to serve the new environment that society has created for its consumption of information. We need to better understand the real business that libraries are in, and librarians must discard the old stereotype of the library and librarianship and replace it with whatever works in the community that their library serves. This should not be interpreted to mean that I endorse librarians shaping their community for the better, because our role is to serve. Simply serve the information needs of our community. Librarians do not establish what those needs are, they figure out what those needs are and satisfy them. The vacuum created by the uncertainty, evolution, or revolution, of the role of librarians within the community allows many misdirections in seeking that role, but the guiding principle is always service! If the new role does not fit the concept of service, then it isn’t the correct role. Having stated all this, I will be stepping aside as the blogger of 21st Century Library Blog to allow a better mind than mine to direct the conversation about that new role of librarianship. Many times I have referred to my “good friend urban library director” in posts because I found many ideas and words of wisdom in her writing. She has agreed to take up the challenge of contributing to this conversation, partly because she has lots of ideas and things to write, and partly because she is my daughter, who was a librarian before I was. Director Kimberly Matthews, Trenton (NJ) Free Public Library, has agreed to step in as the new blogger for 21st Century Library Blog. I have every confidence that you readers will find her writing more thought provoking, engaging with a very “practice” orientation, and even amusing. It has been my great pleasure and privilege to present this forum and hopefully contribute to this worthwhile conversation. Thank you all for your support. It recently struck me that librarianship, like so many professions, is a continuum from basic fundamental skills and enthusiasm, to highly developed skills/knowledge and service/dedication. 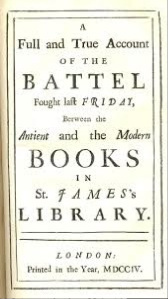 I have never known nor heard of anyone entering the librarian profession who was not first a lover of books. Isn’t that where it all begins? Have you ever known anyone who said; “I think I’ll become a librarian because I want to serve the public, regardless in what capacity.” or “I think I’ll become a librarian because it pays so well, and has such incredible prestige.” If you have, let me know. A continuum begins with the very basics of the concept, or profession in this case and builds toward the very best ideals and practice of the profession. As one begins their career, they begin with basic skills and knowledge and acquire more skills and knowledge, as well as the dedication and professionalism that come with maturation within the profession. That’s just the way life works, assuming that the person has the capacity, desire and opportunity to progress along that continuum. Unfortunately, in the librarian profession we have some who have been in the profession for many years, but have stagnated at the “book-lover” level. That’s all they’ve ever wanted to be, and they are perfectly happy to be just that and let their career progression end there. They are more interested in books than serving the public. They are more interested in their self-perception as a librarian, than in any recognition from their peers or profession as a “librarian,” or any professional standards. They simply want to be among their beloved books and be allowed to enjoy their surroundings. At the opposite end of the continuum is the professional librarian. Interested in learning all there is to know about the profession. Dedicated to making the profession all it can be, as well as ensuring that it survives in the 21st Century environment of drastic change. They are those who lead the profession into that uncertain future. The professional librarian helps the profession grow and remain relevant. I firmly believe that the professional librarian striving to achieve the pinnacle of the profession will become knowledgeable in these following areas, and numerous others that they don’t teach in library school. On this Veterans Day, my deeply heartfelt THANK YOU to all the men and women serving in our military forces, and to all those who have served our nation in uniform ever, as well as their families who support their service. THANK YOU ALL!